“A place where I’ll get dirty, and wet? I’m in!” I stated. “Leave your stilletos at the door” Flavio quipped. Flavio and I drove to the center of Milan, away from the castles, museums, and Prada. We entered a beautiful forested area encircling a vast lake. The place: Idroscalo, a manmade lake originally constructed for seaplanes now used as recreation. What we were doing: kayaking or “canoeing” as the Italian’s say. I do have to admit, kayaking is not what I think of, when speaking of Milan, but none the less, we had a great time, and yes, we did get wet and dirty. 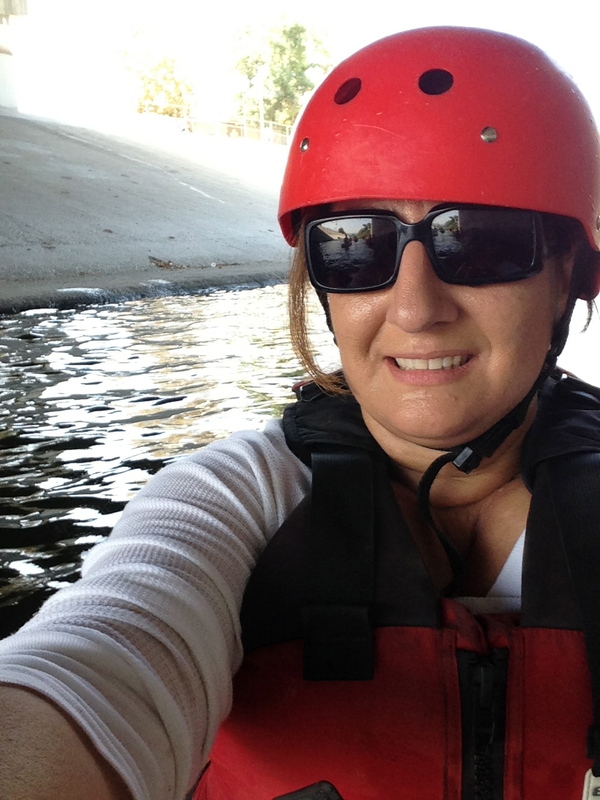 Fast forward to 2013, low and behold there is a river in Los Angeles, and you guessed it Kayaking. 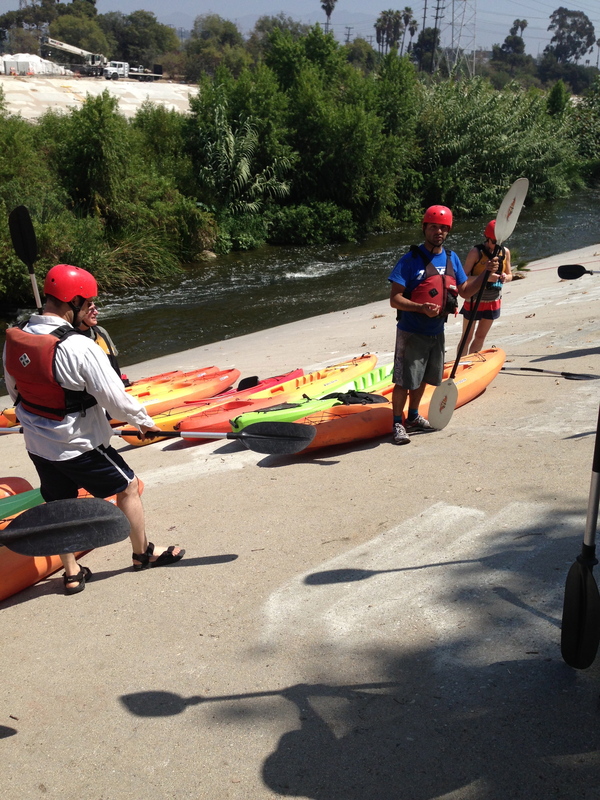 This is the first year the river has been opened to the public for kayaking. 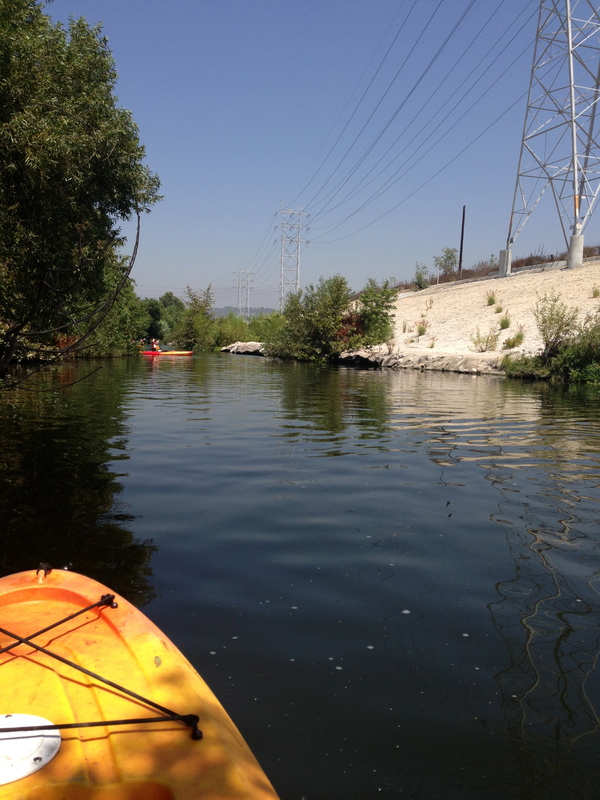 Thanks to George Wolfe, who in 2008 kayaked 51 miles down the LA River to Long Beach. 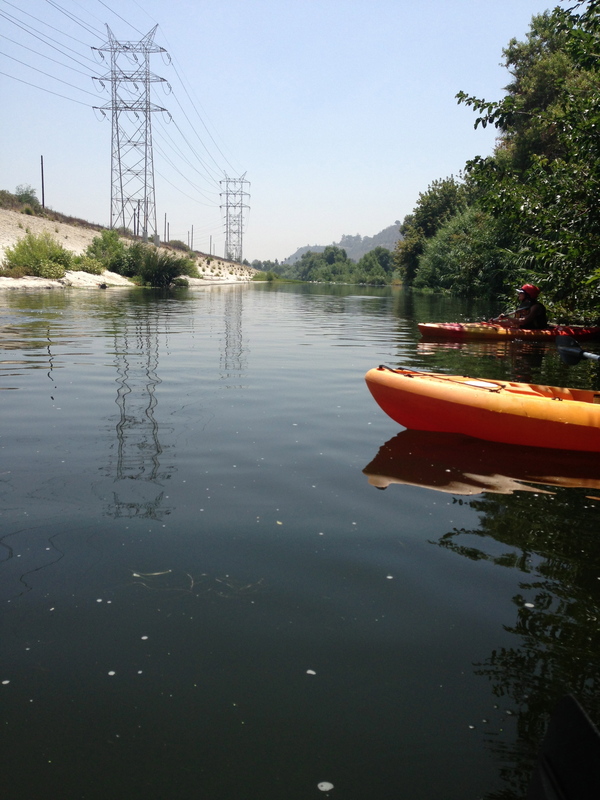 Kayaking tours started in 2012 by LA River expeditions, helping the LA River project to expand and thrive. And no it’s not just a place where the unfortunate go to bath, but a bustling eco system full of beautiful trees, greenery, and wild life. 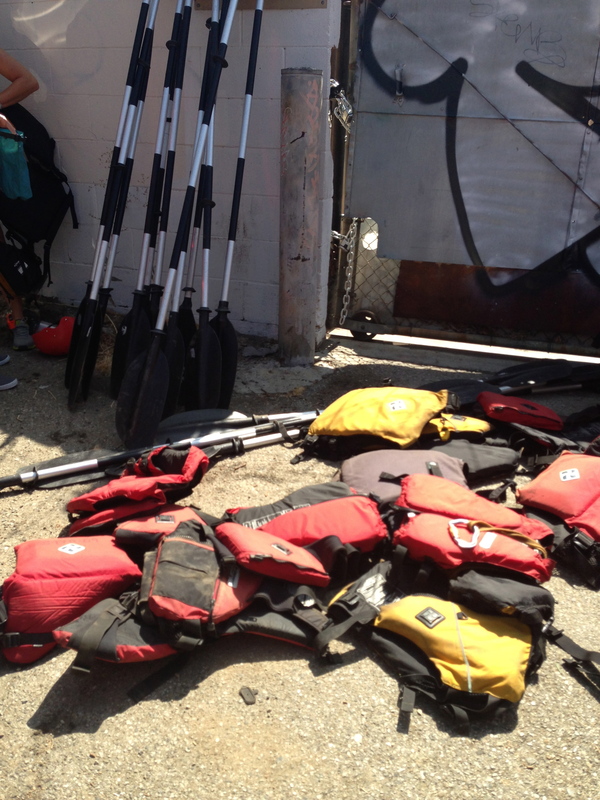 I met my group of 16 urban Los Angeleno Kayakers (yes, I believe all the people I spoke to on this expedition were all local) at a shanty cul du sac. There we met Mike #1 and Mike #2 our guides, who made sure we were well equipped with life jackets, helmets, paddles and of course our kayaks. 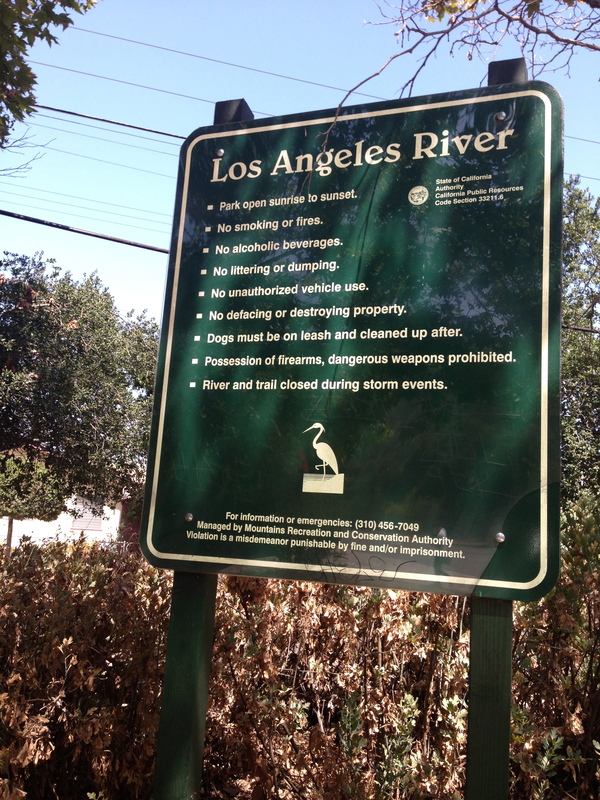 As I was making my way into the LA River, Mike# 2 warned: “be careful stepping in, the algae makes the bottom very slippery.” And you guessed it, I was the first one to slip and fall, landing on my assets into the river. Mike #2 remarked: “You’ve just been baptized in the LA River.” I laughed and said ironically “Last night I attended ‘Verdi’s Requiem’ at the Hollywood Bowl conducted by Dudamel. A Funeral mass, so that must mean, I died last night, and today I’m born again!” Such a testament to my life since I just quit a horrid job 2 days prior. My life is just one big metaphor lately! Well, the ‘Rock garden’ may be really fun for Mike #1, but not so much for me. Although, I felt it did resemble my life (again, the metaphor): There were places in the rock garden where I would flow through with great ease diverting big boulders that would come my way. 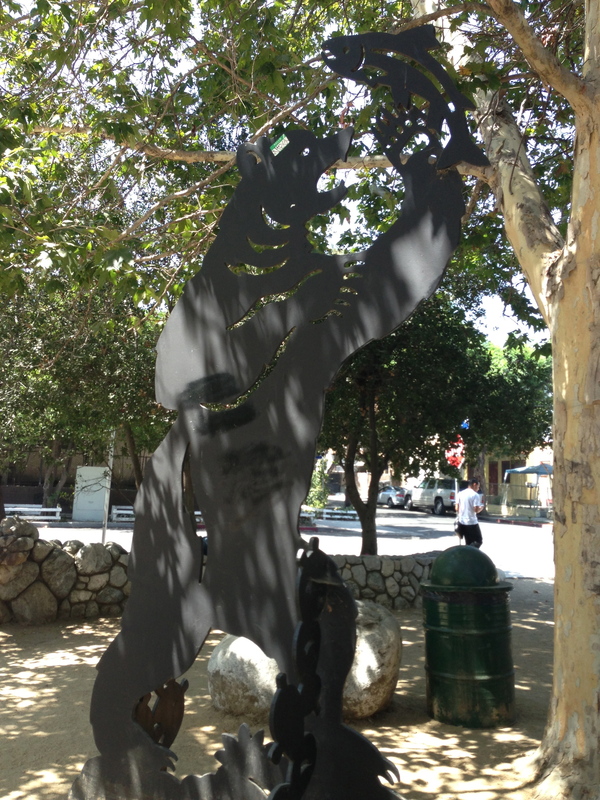 Then I would end up in an area where I was stuck between ‘a rock and a hard place’ (no pun intended). I really had to push through the rocks with my paddle to get through. Unfortunately, there were times when I was so miserably stuck that one of my co-kayakers had to come by and push and pull me out of my situation. I graciously returned the favor for them when needed. 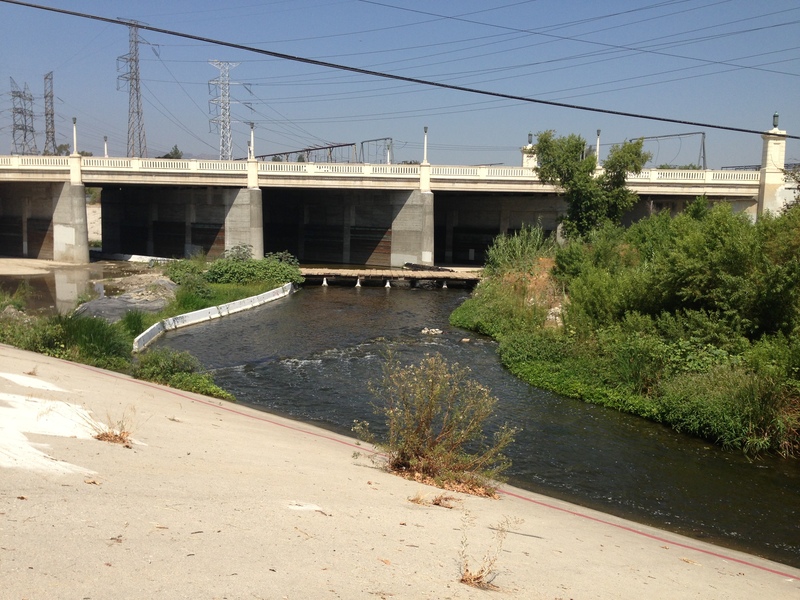 After all, we had one common goal, get through the LA River. Which led me to think about my life with its many twist, turns, and ‘Rock Gardens’. 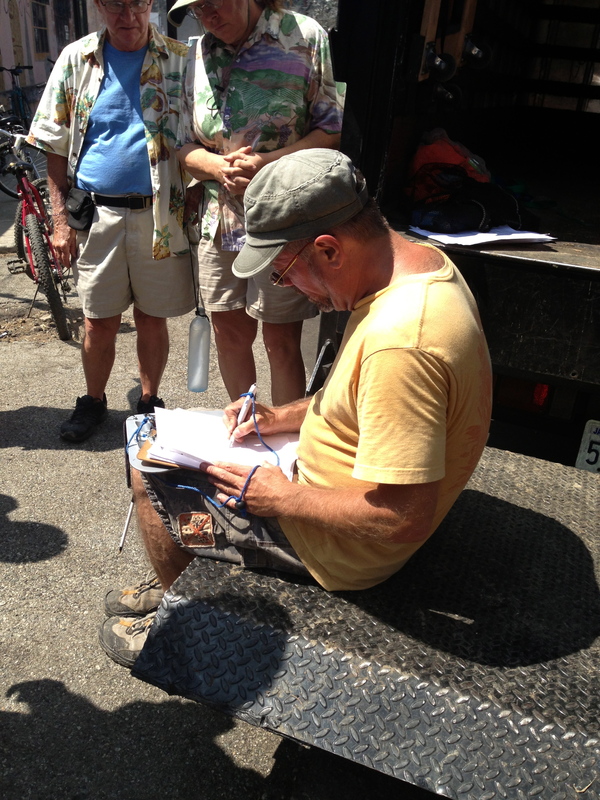 I reflected for a brief second, as we hung out in pirates cove (there were no pirates, at least not visible ones). And I was impressed at how I’ve been able to pull through, and move on when the people around me did not share my common goals and left me to drown or stay stuck when I came to a ‘Rock Garden’ aka tough situation. Sometimes, you just have to accept it, and move on, in order to get through life, until you hit your passion! And smoother waters! After about 2.5 miles of a lush green eco system, beautiful wild life, and ‘rock gardens’ our expedition had come to an end. 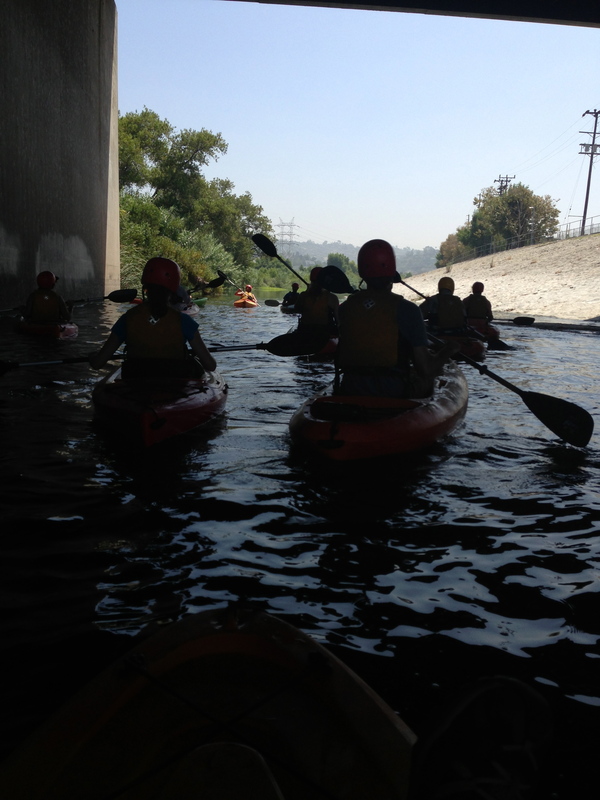 We exited the river with our kayaks, and then hopped on bikes provided by LA River expeditions where we rode a few miles down to our original meeting place. Great article! I want to do this.